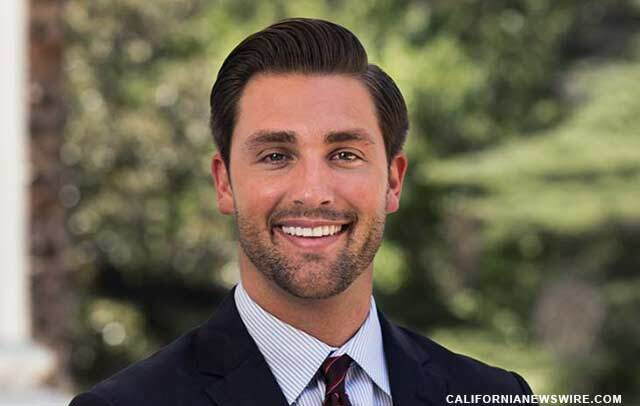 SACRAMENTO, Calif. /California Newswire/ — Calif. Assemblymember Ian Calderon (D-Whittier) today joined more than one hundred nursing home workers to unveil AB 2079, a bill that improves nursing home patient and worker safety and protects taxpayers. Their effort comes a decade after California undertook an ambitious initiative to improve nursing home quality. Despite billions of taxpayer dollars invested in improving care since 2004, California’s average direct care staffing falls far below the federally recommended level. Certified nursing assistants (CNAs) represented by the Service Employees International Union (SEIU) Local 2015 are leading the charge to improve patient and worker safety and protect taxpayers. There is a direct correlation between higher staffing and higher ratings for nursing homes, while homes with too few staff report more numerous and severe deficiencies. “AB 2079 will improve the quality of life for both nursing home workers and residents alike. Our vision is simple: in our homes we must ensure there is enough direct care staff on hand to adequately meet the quality care needs of nursing home residents and ensure a healthy workload for every caregiver,” said April Verrett, Provisional Officer of SEIU Local 2015. At a news conference at the State Capitol today, nursing home workers shared stories of how unsafe staffing levels in California nursing homes leave patients vulnerable to falls, pressure sores, and infections and put workers at risk of on-the-job injuries. In 2004, California dramatically increased the rates it has paid to cover nursing home care through AB 1629. Projected spending this fiscal year will be $4.3 billion, or $1.4 billion per year higher than before AB 1629 passed. Meanwhile, the number of nursing home residents supported by Medi-Cal has stayed roughly the same. Despite this infusion of taxpayer funding into care for the elderly and severely disabled, California nursing homes still don’t meet the standard of basic care recommended by the federal agency that oversees Medi-Caid. Nursing home staffing is measured in “nursing hours per resident per day” or “hprd.” California’s average of 3.7 hours per day is far short of the federal guideline of 4.1 hprd, and the state minimum of 3.2 hours hasn’t been evaluated since 1999. Calderon has introduced AB 2079, a bill that would bring California’s state-funded nursing homes up to national safe staffing standards, create a clear, direct care staffing ratio standard to measure staffing, and improve oversight for billions of dollars in public funds that have been invested over the last decade to improve conditions in nursing homes. Assemblymember Ian Calderon was elected in November 2012 to represent California’s 57th Assembly District, which includes the cities of Industry, La Habra Heights, La Mirada, La Puente, Norwalk, Santa Fe Springs, South El Monte, Whittier and the unincorporated communities of Avocado Heights, Bassett, East La Mirada, East Whittier, Los Nietos-West Whittier, South San Jose Hills, South Whittier, and Hacienda Heights.